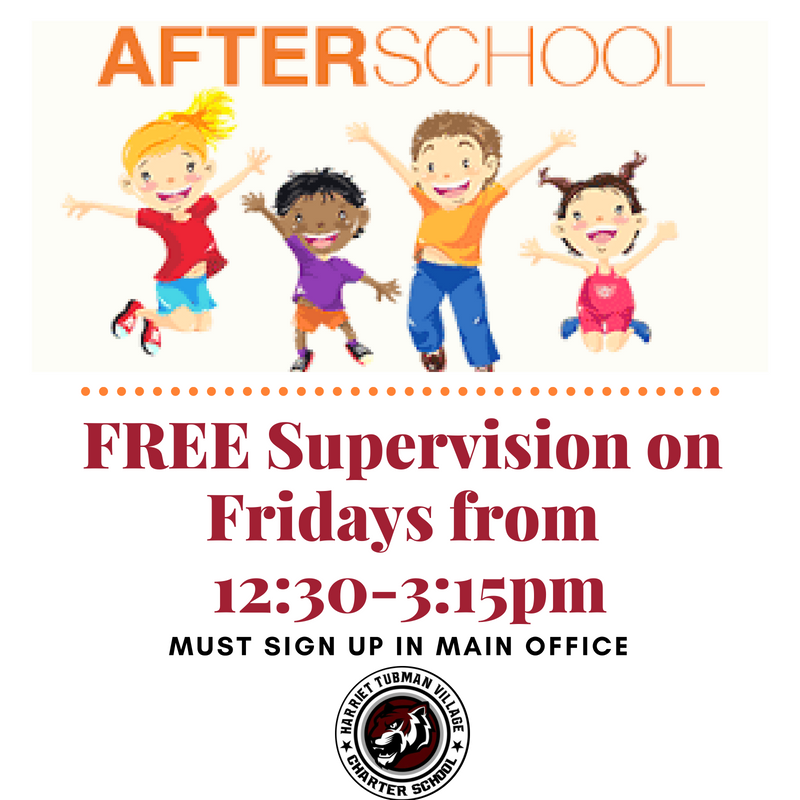 After School Supervision Now offered on Fridays from 12:30-3:15pm! 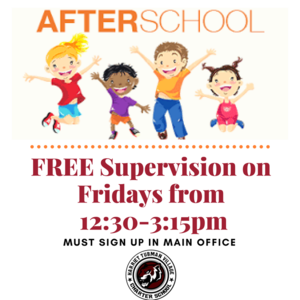 If you are in need of childcare after our early Friday dismissals at 12:30pm we are now offering FREE supervision of your child from 12:30pm-3:15pm. Guardians who wish to use this service must notify Mrs. Martha in the main office and add their child to the list of students needing supervision on Fridays. 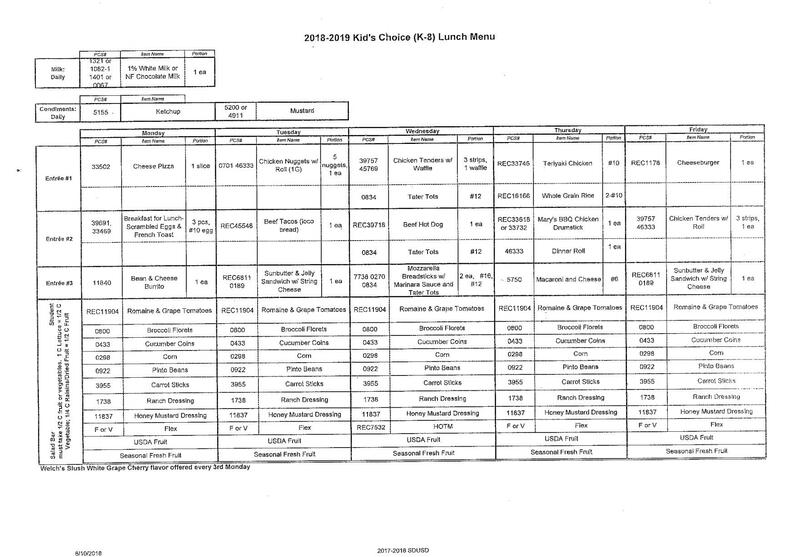 You may chose to use this service every Friday or occasionally, as long as we are notified through the main office which days you plan on having your child attend. Students can be signed out at anytime between 12:30pm-3:15pm. Students must be picked up no later than 3:15pm.